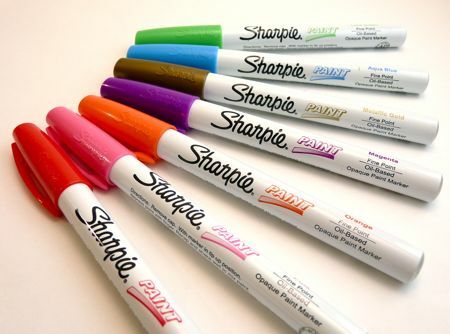 Quirky Artist Loft: Sharpie Paint Markers for Doll Customizing? Sharpie Paint Markers for Doll Customizing? Most doll artists use acrylic paints or chalk pastels as makeup then top with clear sealers. This method is the safest solution for modification as it does not have long term plastic breakdown. 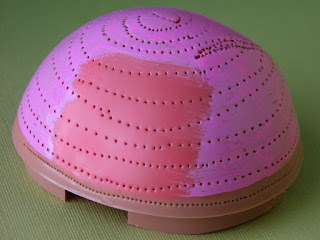 Here is a photo of a vinyl Blythe scalp that has been colored with a sharpie paint pen. You can see the flexibility and color cover of the ink. After removing the paint with acetone you can see the deep ink bleed. When the paint was removed the color bleed eventually faded away after 11 months. But results will vary based on the type of plastics and rubber.